So you finish your masterpiece and poke your head into the world to see if anyone noticed. You started a blog and mentioned that you wrote a book. Both of your followers thought that was cool, but neither one of them bought a copy. This is actually normal. If you already had a blog with thousands of followers your results would have been better. Okay, you got me. I’m focusing on blogging once more. This is because blogging has been my single most productive effort to date. I gain a sale here and there from Facebook, Twitter, Amazon ads, and more, but none of them equals blogging. Gaining a blog following is also hard work. It requires interaction with others, some interesting original content, and being helpful to people along the way. While you’re working on your sequel, it is important to follow up on any comments you might get and even visit a few people who took time to leave a comment at all. After a while, you’ll find out you have regulars. Regulars are golden. This is because when you go up to check for those royalty checks, this is the view you see. The fact is you can’t, and you don’t want to. There are blogs that focus on things that won’t draw your book a bit of attention. This is going to take more work. You have to do the work. You need to winnow the list down to places where your book might draw some interest. My list might come out like this: self help, beauty and fashion, commercial businesses, life in Jamaica, science fiction, fantasy, paranormal, comic books, etc. Focus on places where you might gain either a following or a sale. Either one is good. Then comes the hardest part of all. You have to ask the bloggers you selected if you can provide them some original content to promote your book. See, while you are building your platform, they are building theirs too. This is a teamwork kind of thing. They gave up a day to talk about their story and gave that spot to you. Someday, they may approach you and ask for a slot to talk about their newest publication. You have to say yes. Play nice, and nice things happen. So you’ve been at it a while. You noticed that some blogs have thousands of followers. You wish you could be like one of them. It’s possible, but it’s going to take time and work. On the other hand, maybe they would like to help you spread the word. Look around their sites. Many of them have regular spots that you can take advantage of. The bigger sites usually have some rules and requirements, but those are normally on a page at their site. Read them. Nobody will ever know you checked it out. If one or two of them seems to fit your promotional plan, drop them a note according to their rules. This isn’t the time to be shy either. Those sites can have a hard time filling their slots, because authors are generally too shy to ask. They want to help promote your wares, but sometimes they don’t get enough applicants. I know from experience that hosting a regular slot is feast or famine. I either get too many, or not enough. I’ve seen good spots dry up because there wasn’t enough interest to keep the slot available. When I needed them again, the spot was gone. This is something else to think about. Support those who keep regular slots open so they will be there when your next book drops. Maybe trot one of your old stories out, and hold a Kindle Countdown the day of the post. This might help the host, and it will probably move some copies too. The slot will be available when your new book drops. At this point, I could drop a list of sites that have helped me in the past. I know some really good ones too. I could drop a line about my own regular slot. I’m not going to, because I want to drive home the big point. You have to do the work. There is no substitute for the work. I can’t make friends for you. I want to expand my idea a bit for some of you. This was focused on blogging, but it works other places too. You can apply the same principles to Twitter, Facebook, and other formats. In fact, you probably should. There are any number of retweet groups, book clubs, and more available, but you have to do the work. While it is work, I’ve made some darned good friends along the way too. It’s how some of us came together as Story Empire in the first place. Make those connections, be supportive, and good things will happen for you too. I am new at this and after reading your post, I wonder if I ought to have a page for other authors. On my Facebook page I have found myself sharing authors onto my page and I love it as I am finding some damn good authors, meaning more good stuff to read and I have found myself blessed in getting some new friends. what would you suggest? You got the spirit of the post. The folks I know all try to help each other. Whatever you do, it has to work for you. Put some thought into it for a couple of days, then put it out for public consumption. If Facebook works best for you, focus there. My experience is in blogging, but it works other places too. I have a blog but have a hard time making time to write new posts. I have been hosting other authors lately, and that has generated some new followers for me. I’m trying to be more consistent, but time is always my enemy. Reblogging and hosting can gain you a lot. I like to keep up with original content though. You may be one that puts more time into FB or Twitter. They can work too. I agree with you, Craig. I also think that blogging is the most useful form of social media for an author. I have bought loads of books of people whose blogs I read and like. If you like the blog you usually like the book. 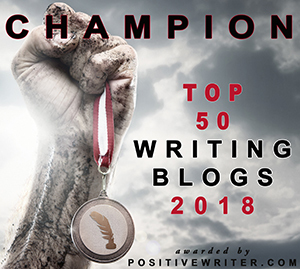 The blogoshere is also full of useful advice, like this post, which is so helpful to new authors and to older ones to I am sure. Different things work for different people. Blogging has always been my best area. Glad you liked the post. Lots of helpful advice Craig. Off to share it on my Facebook group. #ABRSC. I agree that blogging is probably the best vehicle most authors have for promotion and also to make and build relationships. I used to blog 7 days a week, then cut back to a few regular posts, now I’m pretty much hit and miss as time permits. Even when I’m not blogging my own posts (I’ve have several waiting to be written), I try to host other authors. The blogging community is awesome. I just bought a book on Tuesday from a blog I had never visited before. I picked up the post through Triberr, followed it to the host blog, and was sold on the book. I’m now 37% through reading it and loving it! It goes to show that blog promotion does work. Hopefully, once I finish with a looming deadline, I can reward myself by posting on my blog more regularly. Excellent post! That’s proof it works alright. We will also be rewarded when you can update more frequently. Always good information, Craig. I think you have one of the most productive promotion blogs going. I try. It’s always good to attract more people. Hosting others is good for that too. Good post, Craig… Some years ago I had a thriving blog, and, along with the blog came some scattered sales (also had two g-mail accounts – one for blog, the other, e-mails…got rid of the blog g-mail account and now just have one. During the absence in between (and my ineptness and writing books), those scattered sales dried up. So, it takes away from my writing but I agree with you…blogs do have value in promotion… I’m trying to stay up with it again, but my energies drain and my writing suffers. It’s a trade off. I find myself with more blog time after I finish a draft. Publication gets hectic too, but I usually take a couple of weeks before writing again. Excellent on the blogging aspect of self-promotion. When I decided two years ago to actually turn my blog into something that resembled consistency, I immediately started to gain followers. It’s like a place of business. If you visit a business establishment and they are closed or out of product when you get there, you most likely won’t return. The same is true with the blog. So, I set two days per week to blog consistently. That seemed doable to me. I may blog a special post in between those two days occasionally, but stay with the two days I chose religiously. Another point you made that I totally agree with…”you have to do the work.” There is no easy way to build other than starting from the bottom and moving up. Great points, Craig. Thanks, Jan. I try to update four times per week. The interviews take one of those days. Sometimes I have more, but I don’t like the site to get stale. I used to be a much more active blogger than I am now, but as you say, it’s a lot of work, so I had to step back. I just wasn’t getting enough writing done. I’ve found Twitter to be easier to manage time-wise, but like you pointed out, a blog often has better results in terms of promotion. Now I’m wondering if I should be on instagram. Maybe I should ditch Facebook and switch to that. It’s something I’m thinking about. I have those thoughts too. I think it’s more about working your preferred option, and if that’s Twitter, fine. I covered most of the social media options, but my mentality makes blogging the right venue for me. Self-promotion is the hardest part of writing. And blogging is a weak spot for me. Something I vow to do better at. Great post! I think it’s not necessarily blogging. It’s choosing your preference and working it hard. Blogging happens to be mine. Check out this insightful post from the Story Empire blog on the topic of promoting yourself. I know some who do better in other areas. I think maybe it involves working your preferred venue and working it hard. Blogging just happens to be mine. I have been trying to find shortcuts, but have come to realise that nothing works without a lot of hard work behind it. Thanks for the gentle reminder, Craig! We’ve all spent time looking for shortcuts. I find just knuckling down seems to work best.